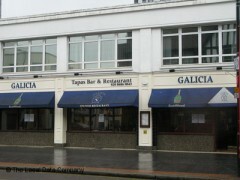 About: Galicia is a Spanish bar and restaurant with a tapas menu and relaxed atmosphere. I love this place, I have been going here since I was 15 now 23 the food is amazing and the staff are friendly, you must try it !!!!!! !